River Whyless On World Cafe : World Cafe The North Carolina quartet means to captures nature's mysteries on its new album, We All The Light. Hear the band perform live onstage. River Whyless' new album, We All The Light, is out now. 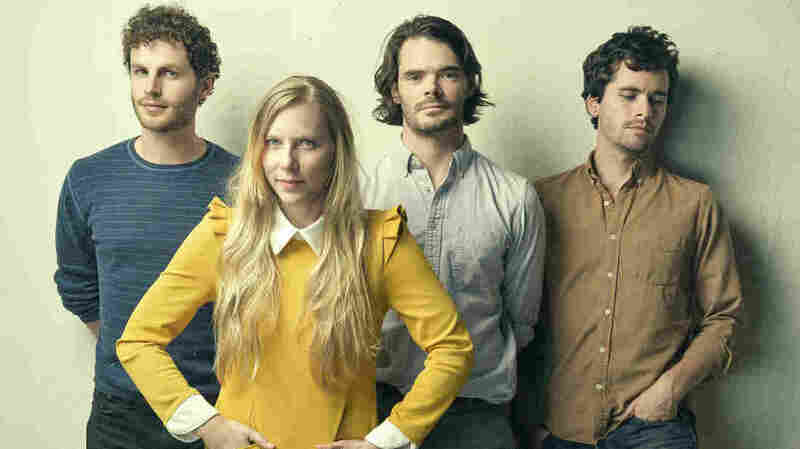 The North Carolina band River Whyless is made up of four virtuoso musicians: Ryan O'Keefe, Halli Anderson, Alex McWalters and Daniel Shearin. What makes them — and their new album, We All The Light -- so special is how the four talents work together. For instance, in making the new album, they say they'd often write separate sections of music individually and craft them into one new song together. The other thing these musicians share is a love of the nature that surrounds their mountain hometown of Asheville. There's no actual River Whyless, though — the band's name is simply meant to conjure a sense of mystery. Hear the band's beautiful live set in the player above, and watch a performance of "All Day All Night" below.